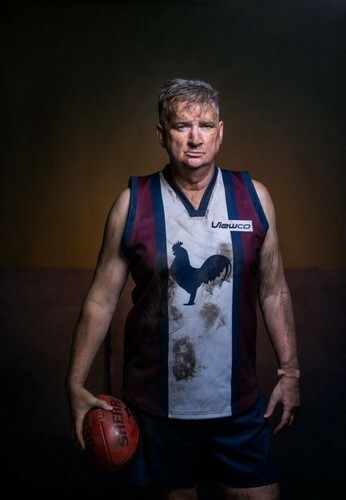 The dysfunctional Bodgy Creek Roosters Footy Club is in trouble & will either have to fold or merge with their arch rivals—the Hudson’s Flat Cougars. But prodigal son coach Troy Carrington has other ideas; to save the club he embarks on a programme to recruit refugees & unwittingly takes the community on a journey of change. Damian Callinan is a multi award-winning stand-up comic, actor and writer. 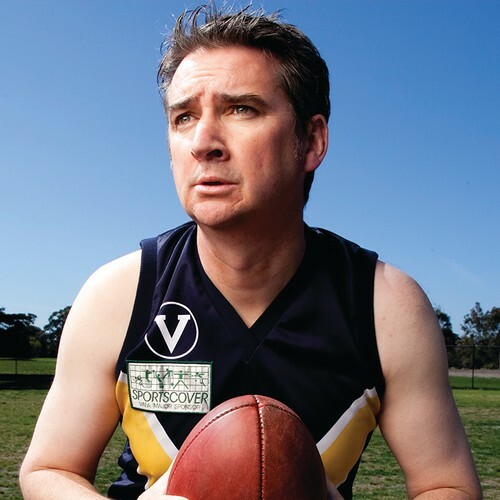 He is best known to TV audiences for his roles on Skithouse, Before The Game, Spicks and Specks and the Melbourne Comedy Festival Gala. It’s for his prolific output of live shows that Callinan is best regarded. His most decorated one man show The Merger (Barry Award nomination) now a feature film (released mid 2018). His other award-winning shows include Sportsman’s Night [Barry nomination & Best Comedy Melbourne Fringe], Spaznuts [Piece Of Wood Comedians Choice Award at MICF], Proxy Heroes [Barry nomination], his comedy dance show The Cave the Rave [ABN Amro Edinburgh Foreign Exchange Award], and The Lost WW1 Diary (Best Comedy nomination Fringe World [Perth] & part of the Victorian VCE Playlist in 2017). Callinan has toured nationally with The Complete Works of William Shakespeare (Abridged) with State Theatre Company SA, Road Trip with Mickey D, Townfolk, and Swing Man. For more on Damian Callinan and The Merger, please visit his website, Facebook, Twitter, and YouTube.